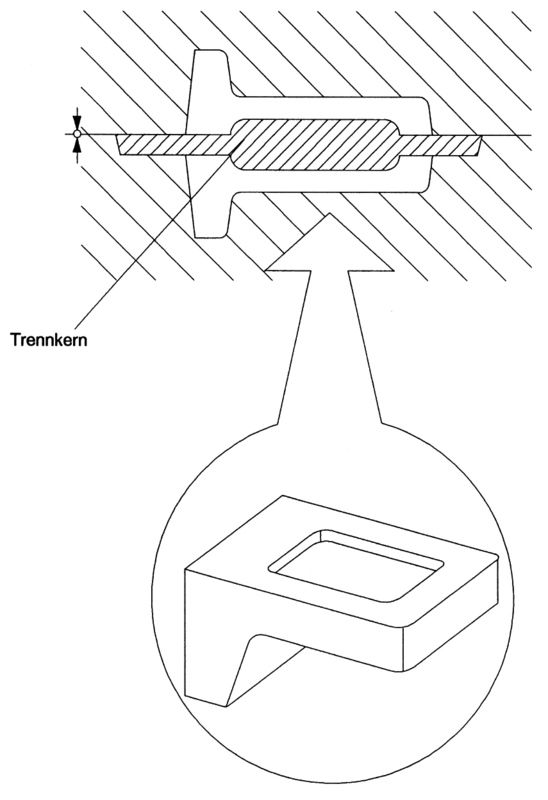 Separates two casting parts that are located above one another with horizontal mold parting or opposite each other with vertical mold parting. In this situation, gating is generally implemented in the parting plane along the core print. Occasionally, knock-off cores or breaker cores for risers are also referred to as separating cores.